Spartan Cruiser II 1/72 scale resin kit, with British G-ACSM & G-ACDW decals. Two canopy and undercarriage options, will cover all the Cruisers produced. 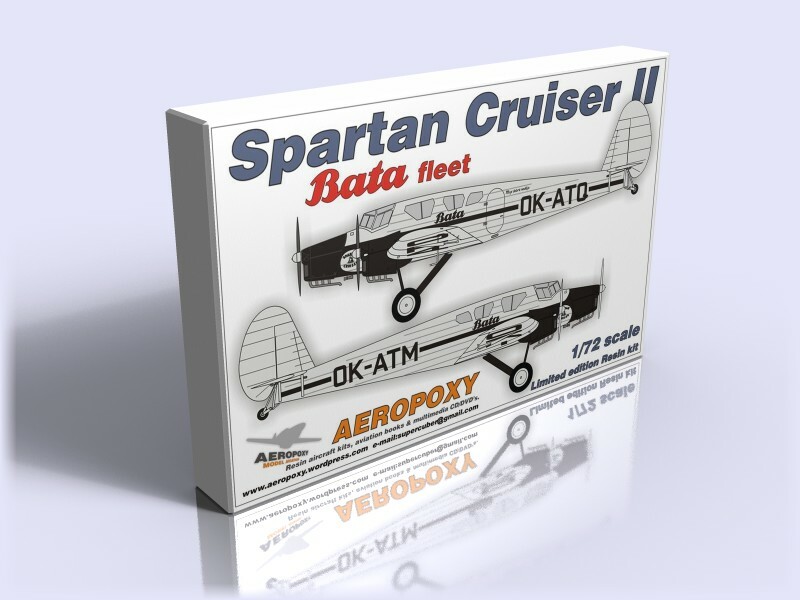 Latest AEROPOXY release, Spartan Cruiser II from Czech shoe manufacturer BATA 1930’s airline fleet. Includes resin kit parts, vacuformed clear canopy and side window parts, registration decals , instro panel and stenciling decal, multimedia CD rom with photos, drawings and modeling data and printed assembly and paint/marking instruction. Latest AEROPOXY release,2017. 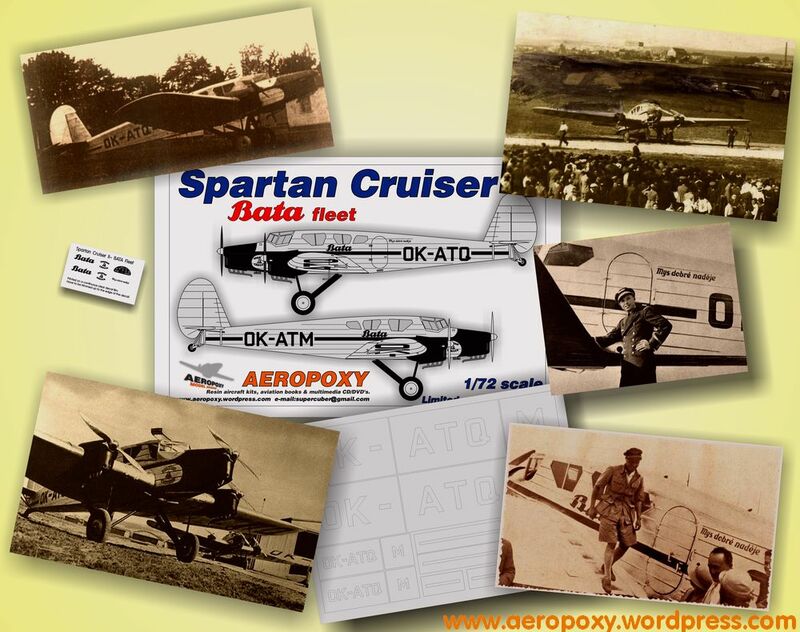 , Spartan Cruiser II from Royal Yugoslav1930’s “AEROPUT” airlines fleet.